Made of finest alpaca with hard-wearing wool felt on her paws, Lena mouse sets off on her first walk of the new spring. There is a chill in the air and snow all around. But here and there, green shoots venture up through the soil. 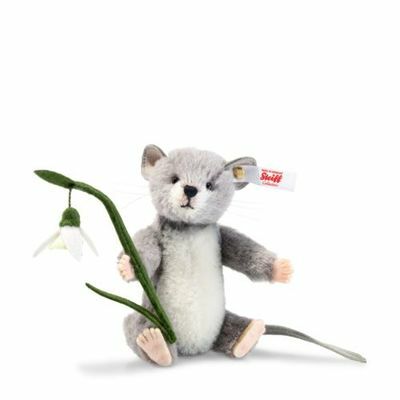 With a ringing snowdrop in her paw, Lena tries to entice them out further – using her fine, pink-painted nose to sniff out the best place to build her new home!